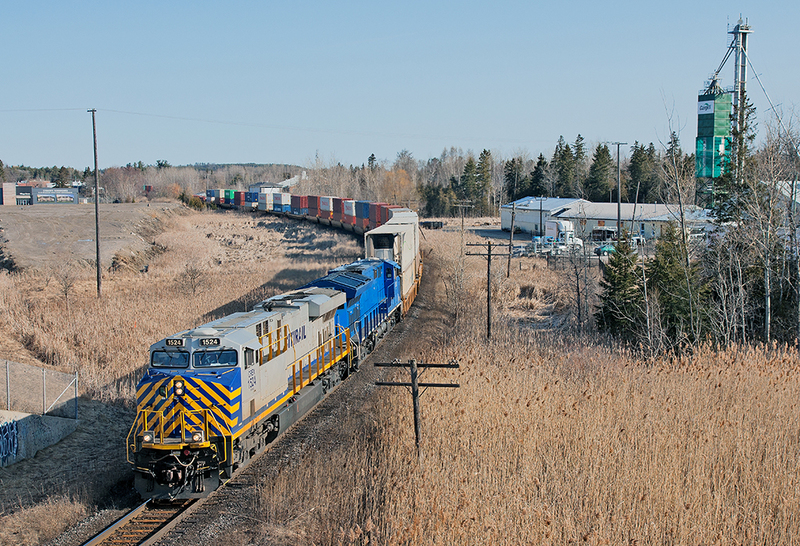 Railpictures.ca - Michael Da Costa Photo: A splash of colour All the way from the west coast and intact, two leased GE’s lead CN Q10651 27 and 8,072 ft of train past Mt. Albert down the Bala Sub. | Railpictures.ca – Canadian Railway Photography – photographie ferroviaire Canadienne. Caption: A splash of colour All the way from the west coast and intact, two leased GE's lead CN Q10651 27 and 8,072 ft of train past Mt. Albert down the Bala Sub.